Julie obtained her Masters in Community Counseling in 1996 and is a Licensed Professional Counselor, a Licensed Marriage and Family Therapist and a Licensed Addiction Counselor. 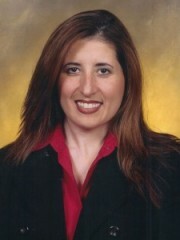 Julie has worked in a variety of settings including psychiatric hospitals; being the director of a nonprofit organization, which allows for the monitoring of physicians and other healthcare professionals with chemical dependency or other mental illnesses for the Louisiana State Board of Medical Examiners; and provides counseling services for the Louisiana State Board of Nursing. Her broad experience helps her to connect with and understand people from all walks of life, ranging from physicians and nurses to children and adolescents. Julie counsels individuals, couples, and families. Julie also volunteers through Catholic Community Services.